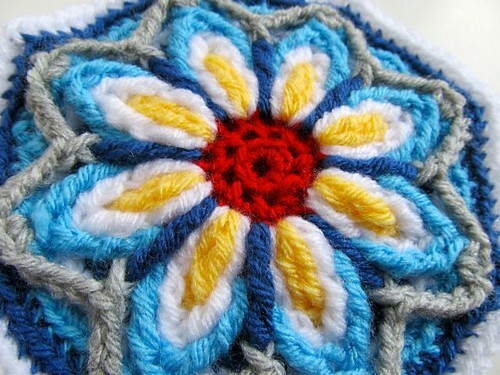 I've joined a CAL over at one of my favorite blogs, a creative being, to make Crochet Overlay Mandala No. 1 by Carola Herbst. I've just started, and I must say it's really fun, and it's a very well written pattern! If you're interesting, go HERE for the details and to check out wink's beautiful mandala! Hi Kate, Mandalas are such fun to do, aren't they? I love the one you've started above and the colours you're using! I'm looking forward to seeing how it continues! That looks lovely! I am not sure what colours to use with mine! Thanks!! I didn't have time to go to the store, so I had to choose colors that I already had, which I suppose made choosing the colors easier! I can't wait to see what everyone else does!